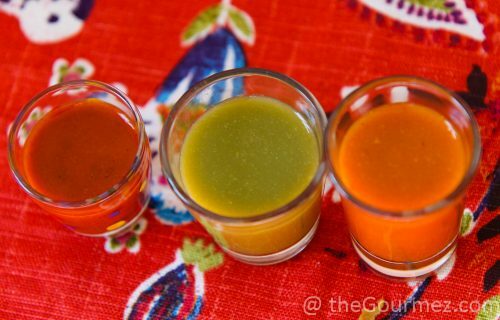 In that video, should you choose to watch for the full experience, I work my way through Gringo Bandito’s original, spicy green, and super hot sauces, subjecting them to the ultimate hot sauce platform: tortilla chips. If you don’t want to subject yourself to my in-the-moment reactions, read on for the summary. But you’ll miss my hilariously confident praise of the company for picturing a female bandit on the label—hilarious, because it’s actually an image of Offspring lead singer and Gringo Bandito founder Dexter Holland. All I can say is nice cheekbones, Dexter, very nice indeed. 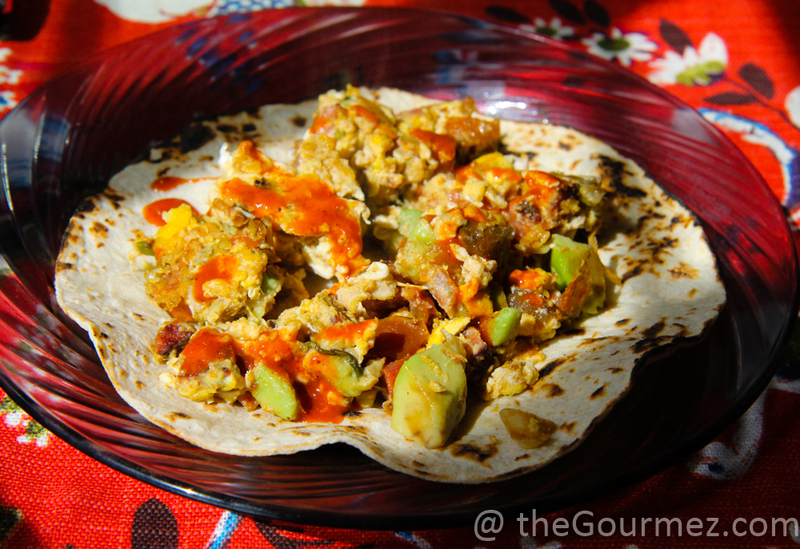 Yes, video viewers, I did make scrambled egg tacos just to eat with the hot sauces after all. 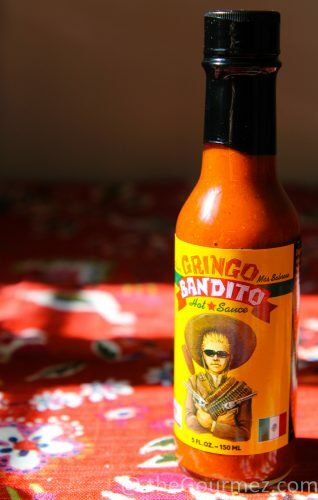 In this critic’s opinion, the Gringo Bandito original sauce handily beats more well-known labels on the market in flavor. I loved this hot sauce. As you can see in the video, its strong, roasted flavor took me by surprise. Similarly to the original, it approximates a full-flavored tomatillo salsa without having any tomatillos in it; roasted serrano peppers are the biggest contributor to that impression, I’m sure. The heat kick snuck up on me because I was too busy enjoying its awesome taste. Strong kick and strong flavor? A great combo for a hot sauce. 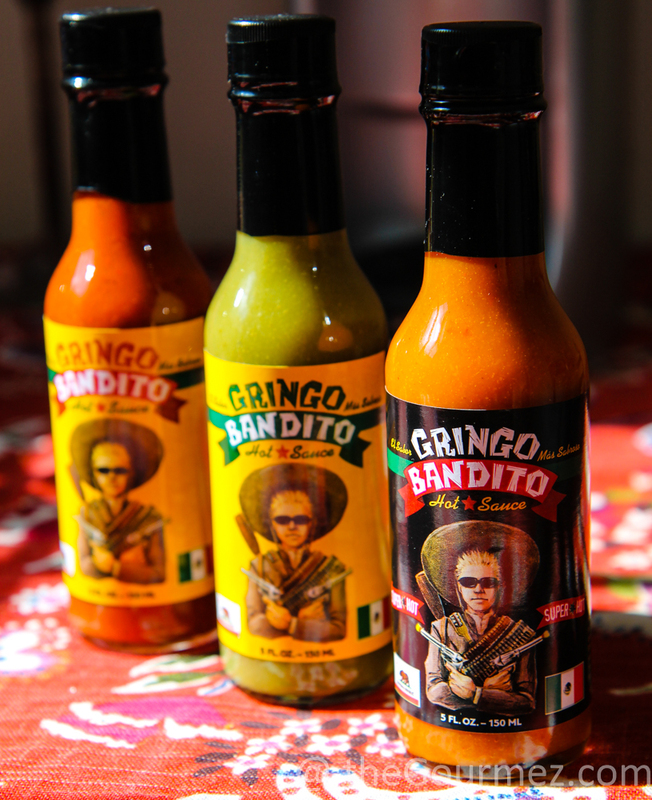 The final sauce is the hottest one Gringo Bandito offers, featuring peppers with names like Scorpion and Bhut Jolokia, that last one being better known as the Ghost Pepper. Mr. Holland must have plumbed the depths of the jungle—or the farmer’s market stalls—to find them. It’ll tingle nose hairs right away and is best suited for people looking to challenge their resistance to spice’s eternal flame; in other words, a little bit will go a long way with this one. But that vibrant orange coloring may tempt the brave into using more than is wise. Ah, the perils of hot sauce love. 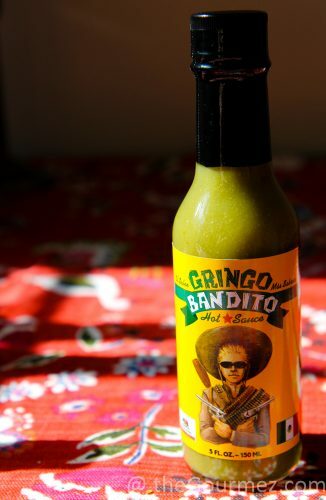 My preference was obvious: the Gringo Bandito spicy green sauce is the one worth keeping in the fridge at all times. The original has just enough heat to thrill folks with milder palates while imparting plenty of flavor to the rest of us, and the super hot will send most people running after dairy to quench the fire within—for the record, though, I handled it like the hot sauce pro I am, with only a glass of water. Pride. –or at Kroger, Whole Foods, and Albertsons and Safeway grocery stores. You can also get them straight from Gringo Bandito’s website. 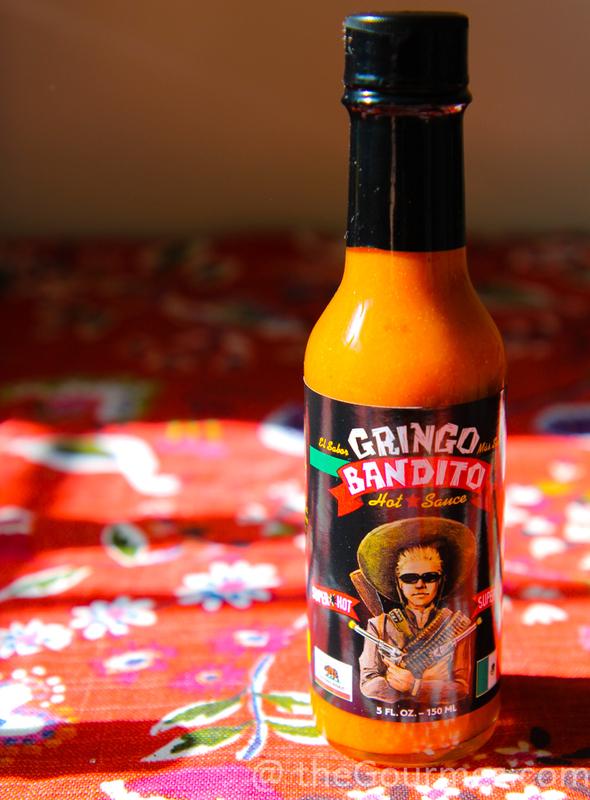 Gringo Bandito also releases an annual private reserve sauce, which changes every year, and they’re taking a dip into taco seasonings soon. So keep your eyes peeled and your taste buds salivating for more from this company. I will, too, with a faithful spicy green bottle by my side.